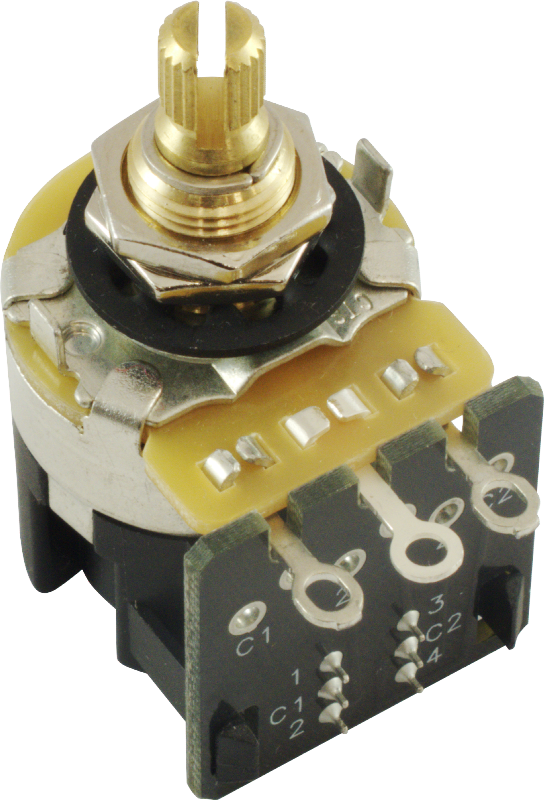 250 kΩ R-VC250KA-DPDT Body Diameter 0.95 in. 250 kΩ R-VC250KA-DPDT Bushing Length 0.37 in. 250 kΩ R-VC250KA-DPDT Shaft Length 0.37 in. 250 kΩ R-VC250KA-DPDT Weight 0.065 lbs. 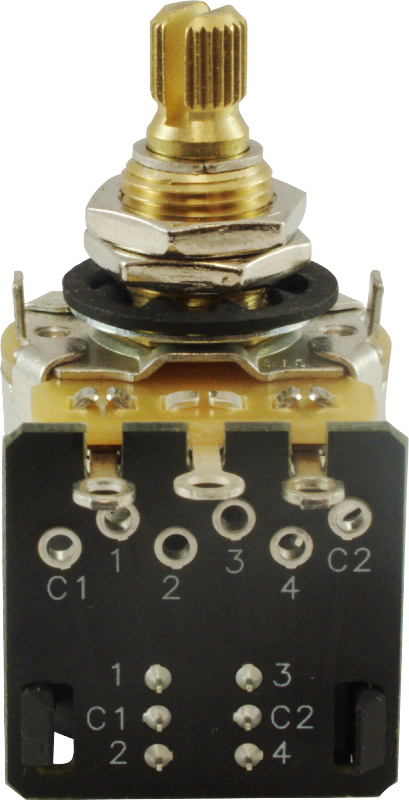 500 kΩ R-VC500KA-DPDT Body Diameter 0.94 in. 500 kΩ R-VC500KA-DPDT Bushing Length 0.375 in. 500 kΩ R-VC500KA-DPDT Shaft Length 0.375 in. 500 kΩ R-VC500KA-DPDT Weight 0.066 lbs. All models Body Depth 0.96 in. All models Packaging Dimensions 1.755 in. x 1.424 in. x 0.938 in. All models Shaft Diameter 0.24 in. All models Shaft Rotation 300 deg. All models U.S. Thread Major Diameter 0.375 in. All models U.S. Thread Pitch 32 tpi. Asked by Anonymous on November 1st, 2016. Yes, these have the same tension that you would come to expect from CTS. There is definitely some resistance when you turn the pot. Asked by Anonymous on May 22nd, 2017. This is a 450 series pot but CTS does not have a spec sheet for it on their website. What specs we do have are listed above in the description. Asked by Anonymous on June 25th, 2017. If you have a Les Paul style guitar the length on these will be too short and you will want to go with the .75" option.